Are you sick and tired of having to choose required email templates when sending emails from a Salesforce record (e.g, contact) in lightning experience? Well, you can now a peace of mind. 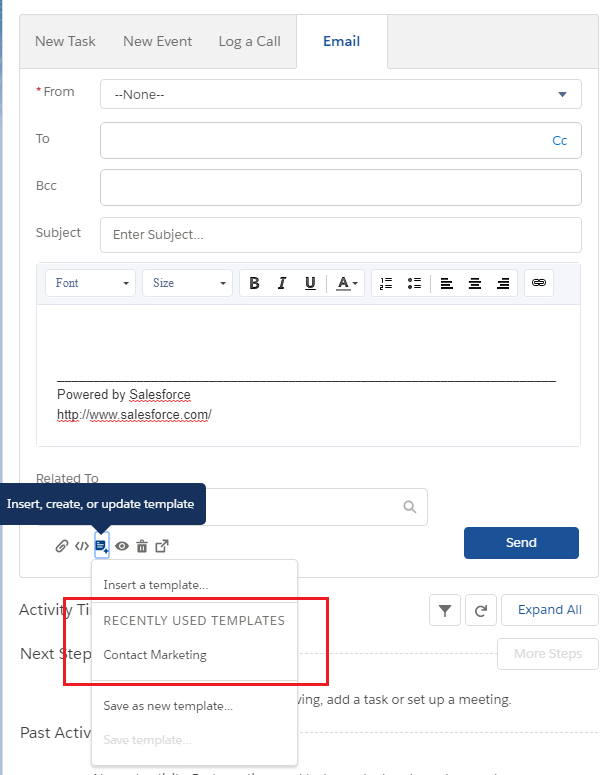 Salesforce Spring ’18 release has introduced a simple enhancement to show a list of “Recently Used Templates” when you click on the “Insert, create or update template” button. Note: that you will only see 5 of the most recently used templates.